Susie Jennings, with over 16 years of “selling” experience, approaches Real Estate from an educational aspect rather than a selling one, “providing stellar service“. As a former teacher, interior designer, and marketing professional Susie shares her exceptional talents with each and every client. Her background in education taught Susie to ask pertinent questions and really listen to the needs and dreams of her clients. Susie wears her passion for being creative on her sleeve and brings it into every meeting with her. As a professional Stager®, Susie stages each home she sells and employs unique marketing techniques to sell your home more quickly for more money. Susie has experienced the home buying, selling and building process herself having built, owned, or remodeled 7 other homes. She understands the process, worries, and excitement that each client goes through as they work hard to buy or sell on budget, within a given time frame and still get the home of their dreams. Susie’s strong communication skills along with her sense of humor, patience, and love for making people happy will make your home buying and selling experience enjoyable and memorable. As a compassionate person, Susie enjoys giving back to the community. Before she recently returned to the Fox Valley, Susie was a Big Sister for Big Brothers Big Sisters. She also served as an Ambassador for various chambers of commerce and spent countless hours volunteering for Gilda’s Club of Dane County. Susie organized an email list and a “get to know each other social” in her brand new neighborhood. Welcome Home to the Fox Valley promises to be a blog about a variety of topics from the home buying, selling and building process to community events to all kinds of information regarding taking care of your home to interior design. 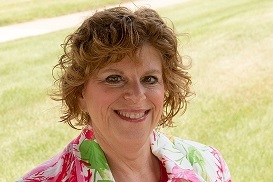 Susie welcomes all comments and is excited to work with you on buying and selling your home.